* WashTec’s range of products for cars and commercial vehicles includes rollover, wash tunnel conveyor systems and jet washes. Use our find a store locator​ to find your closest car wash.
Our Buy-Time jetwashes offer maximum flexibility! You buy as much or as little time as you want to, it really is that simple. Plus with the fully selectable programme options, you can choose any option anytime for the perfect wash results… every time. 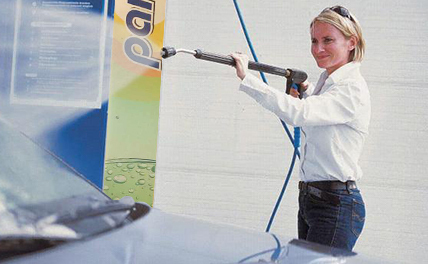 Our Pro Classic system provides the perfect car wash that does all the work for you. This system has wash elements with an extra-large diameter plus FlexControl for the sides and a quality drying system with integral roof dryer plus side dryer with downwards air current angle. 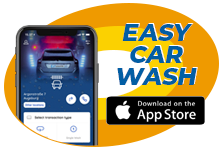 The easy wash system provides an intensive wash with FlexControl, the side washers adjust their angle to ideally suit every vehicle shape finishing with intensive drying with four fans that follow the vehicle’s contours thanks to wash data from the memory function.